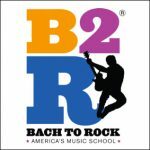 Bach to Rock (B2R), America’s music school for students of all ages, proudly announces it is opening a new school in Huntersville, North Carolina. The community is invited to the free grand opening festivities on Saturday, January 13, 2018 from 10 a.m. – 2 p.m. at 16610 W. Catawba Avenue, Suite A, Huntersville, N.C., 28078. Attendees are welcome to tour the school, enjoy a free music lesson, learn about individual lessons and group classes, try out free toddler “Mommy and Me” classes, enter prize drawings and giveaways, check out the recording studio, and meet the teachers. This location marks Bach to Rock’s first school in the Charlotte area, and its 26th in the country. “Families in the Charlotte area have much to look forward to with our new Huntersville school. We offer an innovative and progressive approach to music education,” said President of Bach to Rock, Brian Gross. “Gone are the days of boring and solitary lessons. At Bach to Rock, students launch into learning today’s favorites while our teachers expertly nurture their potential and share the fundamentals of music as they progress,” said Gross. Families in Huntersville, Cornelius, Davidson, Denver, Mooresville and Mountain Island will truly benefit from the Bach to Rock method. 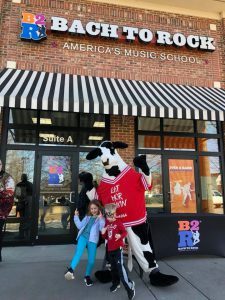 Bach to Rock Huntersville will offer a variety of programs for students of all ages including: individual lessons; group classes such as Rock Band and Glee Club; the Rock City program for preschoolers and toddlers; Kids-n-Keys for children in grades K-2 interested in piano; along with seasonal camps and birthday parties. Studies have shown that learning to play music in a group helps students learn teamwork, develop social skills and build self-esteem, among other benefits. Recently, Bach to Rock introduced MyB2R, an online dashboard offering customers real-time access to student progress and more. MyB2R is the only digital service of its kind in the music school industry, and provides the ability to track student advancement, schedule lessons, obtain homework and stream over 400 pre-recorded songs to practice at home.